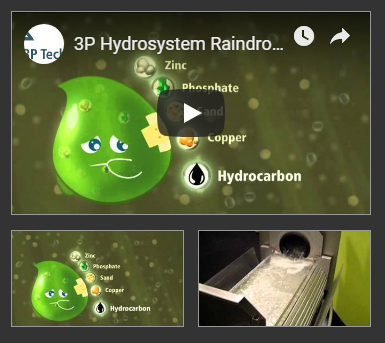 3P Technik is an established EU wide market leader in stormwater multi-process filtration systems. The concept of using a multi process unit in a SudS/WSUD treatment train is gaining acceptance in design houses. 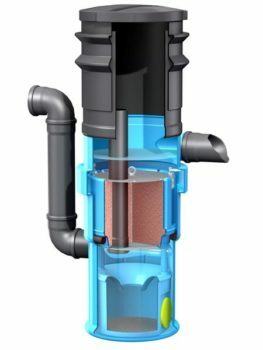 To date there has been a focus on grit separators, often only using basic Vortex based chambers to “spin” the heavier sediments out of suspension. The EU and so the UK standards require runoff from highways, busy car parks and industrial areas to remove a wide range of contaminants, including PAHs and heavy metals such as zinc and copper. In countries like Germany, Switzerland and the Scandinavian countries, tight standards are imposed on runoff to protect both surface waters and groundwaters alike. Even the CIRIA SuDS nanual acknowledges the need to focus on finer particles at many sites (see Chapter 14, Part D Technical detail, pg 284. This means including the asssessment of the fate of particles finer than 64 microns. Treatment involves removing silts and clays, as well as the dissolved phases of metal contaminants. Many older particle separation devices cannot remove fine particles. Or they only do it only for a while. Or disastrously they simply release the bound heavy metals once road salt containing stormwater comes into contact with the retained sediments, creating a huge spike in metal contamination. 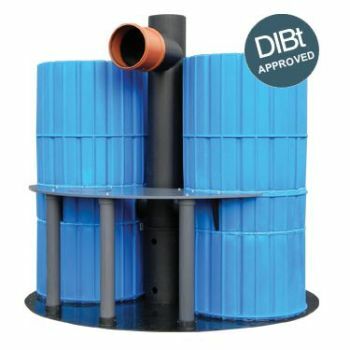 All 3P products are designed and certified to perform and prevent damage to fragile and important ecosystems.These units pass the DiBT standard, as refenced in the CIRIA SuDS manual (see Ch 14 Part D: Technical Detail, and Ch 26, Part E: Supporting Guidance) and meeting a certain performance standard that will be understood and accepted by the EA in England. They are particularly relevant for polluted water treatment in sensitive catchment areas and Sites of special scientific interest (SSSIs) . They support effective stormwater pollution prevention plans (SWPPP) and can be part of stormwater best management practices (BMP). Our range is extensive and ever developing. Please feel free to Contact Us to discuss your particular requirements. 3P UK were corresponding members of the British Water Treatment Devices Technical Standardisation Group. Our UK sales partners can supply units to site fabricated to meet bespoke site design solutions. Special stormwater treatment plant for installation directly in the ground. For roof areas and traffic areas from 100 to 175 m², depending on the type of filter. The cleaned water has such an excellent water quality that it can be discharged directly into soakaways, surface waters and the wider environment. 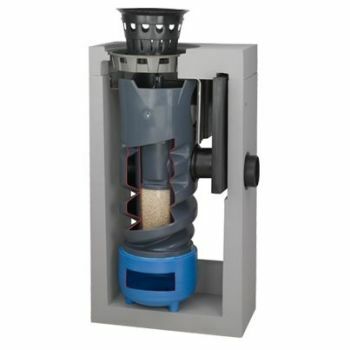 Specialist rainwater filter for installation within standard manhole shafts, 1000mm diameter. Connectable surface area 500 to 1000m2 depending on contamination level of the runoff. DIBt Approved. Hydrofilter ® Gulley is a street gully filter. Stormwater runoff from road surfaces are treated locally therefore significantly reducing the space required for stormwater treatment. 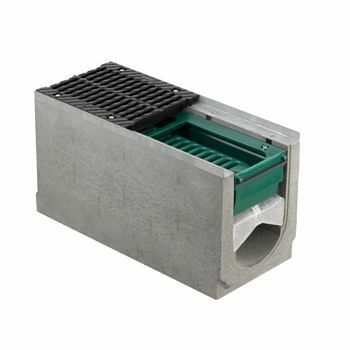 This innovative and class leading modular channel drain design is based on a standard 300mm drainage channel width. Enables stormwaters from high traffic areas (car parks and roads), industrial areas and metal roofs to be cleaned at site level, and then discharged safely to ground or surface water bodies locally, or safely with certainty of treatment to green swales and ponds. if you need more information, help selecting the best product for your needs or simply want to buy our products, please Contact our team of experienced stormwater management experts.